Do you love teaching kids, and have a tendency of treating them with love and care? Are you, by profession, a skilled Early Childhood (Pre-Primary) Teacher (ANZSCO 241111), and not really happy with your job profile in your native country? If ‘yes’, then you need not to worry as you will be quite happy to know that you are in demand in Oz. 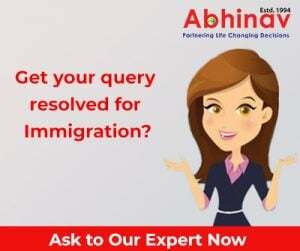 Not only this, many Australia Immigration consultants are providing their professionals services, so that your journey to the immigration hotspot becomes a hassle-free affair, and you may get what you are worth of. It is a fact that in many countries, Early Childhood (Pre-Primary) Teachers do not get appropriate reward, in terms of their services, but the Land of Kangaroos is an exception. They need these experts in various sectors, such as, for example, education and training, public administration and safety and healthcare and social assistance. As the line-of-work is mentioned on both the Skilled Occupations List and the Consolidated Sponsored Occupations List, you may submit an application for any of the visa under the General Skilled Migration (GSM) category. The permits under the GSM class include the Skilled Nominated 190, the Skilled Regional Sponsored 489 visas, the Skilled Regional Nominated 489 or the Skilled Independent 189. In addition, you may also present a petition for employer sponsored visas only in case you have a firm offer of employment from a recruiter in Oz. Also known by alternate titles, such as Kindergarten Teacher, they are responsible for planning, organizing and carrying-out various activities in order to proffer assistance to pre-primary school students with the aim of developing a wide variety of skills, such as, for instance, reading, motor skills, speech, social interaction, and writing. With a view to practice some of the provinces or territories may ask for either obtaining a license or registering yourself with the concerned local concerned governing authority. This occupation belongs to unit group 2411 and the required skills have been duly defined as skill level 1 in the ANZSCO. They require a set level of skills in commensurate with a Bachelors Degree or a higher degree in a germane subject. In some rare instances, both experience and prescribed education may also be required. Plan and build up structure learning suitable for both indoor and outdoor environment using diverse kinds of equipments and materials in order to smooth the progress of students over all development. Encourage language development using different means of communication, such as, for instance, role play, rhymes, storytelling, besides songs and via casual conversation and debate, via both one to one and in group. Observe and weigh up the progress of each student and spot the signs of emotional disturbance, stress, bad health and other probable medical issues. From time to time talk about the growth and progress of the students with higher concerned authority and their respective parents. As and when the need arises, participate in a mixture of community and family support schemes. Observe and aid them meet the nutritional health and safety needs of the students on an individual basis. Spot a range of factors that may hamper children’s development and growth. If you are a trained Early Childhood (Pre-Primary) Teacher (ANZSCO 241111), and successfully meet the above conditions, and if you seek and get the professional services of Australia Immigration consultants, they you would find acceptance from the Australian Department of Immigration and Border Protection (DIBP). Attention Skilled 312113 Building Inspectors, Obtain Professional Australia Immigration Services!